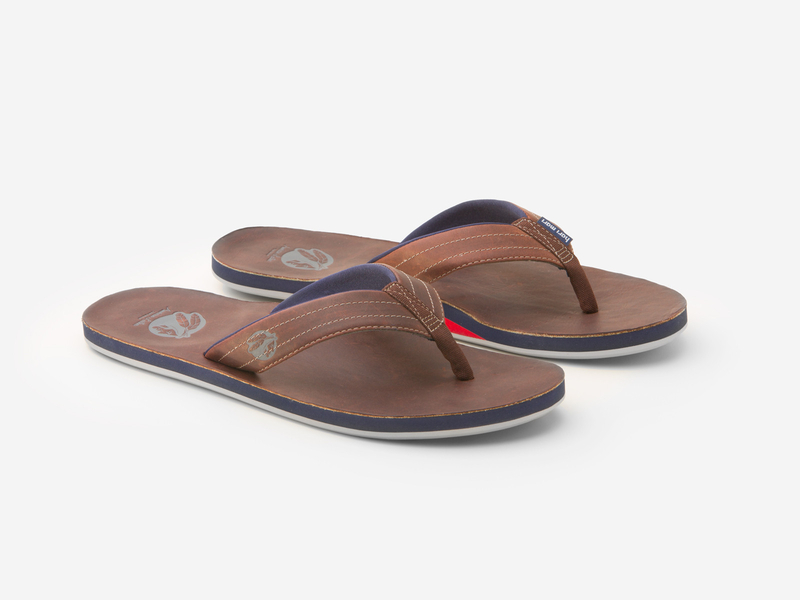 Hari Mari, a young Dallas-based footwear company, has partnered with the storied baseball mitt manufacturer Nokona, also from Texas, to create a line of high-end leather and memory foam flip flops. The Hari Mari X Nokona line (get them at Huckberry, $110) are made from the same buttery American steerhide Nokona uses in making their famous gloves. They feature firm arch support (pretty much non-existent in many flip flops), non-scuffing rubber bottoms that are great at gripping wet surfaces, memory foam in all the key spots — toe-post grips and straps — and a beveled edge. They come in three different colors, Generation, Chocolate, and Sandstone. We dig the Generation, that warm light brown we associate with a classic ball glove. If, like us, you choose to support companies that make an effort to be as green as possible and give back to the community, you’ll be happy to know Hari Mari not only uses sustainably grown textiles for its products, it will give you 15 percent off new sandals when you send in your used flip-flops (doesn’t matter what brand). The company then recycles those in order to keep them out of landfills. Hari Mari also donates one percent of its profits from every flip-flop sale to its “Flops Fighting Cancer” initiative that assists pediatric cancer patients. While you probably won’t actually be playing baseball in these flip flops, you’ll be batting a thousand at the beach this summer. Okay, sorry for all the lame baseball references. You get the point.